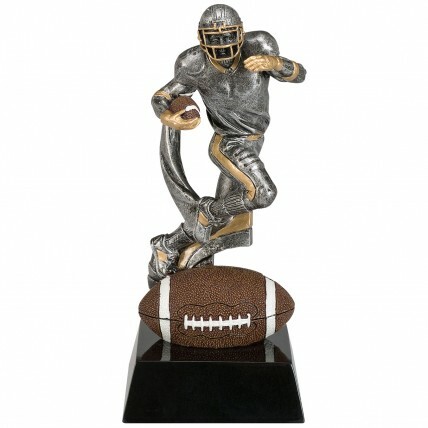 Celebrate an excellent season with this impressive resin football trophy! The Motion Xtreme Football Trophies feature a silver resin running football player with gold highlights holding a realistic brown and white pigskin. The figure is set atop a larger football and a pedestal black base. Add your personalized text in gold lettering on the black brass plate for a truly memorable award!